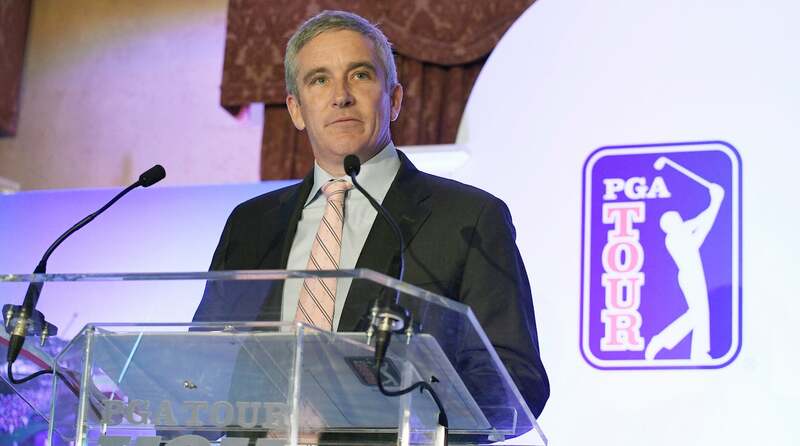 PGA Tour commissioner Jay Monahan said that the Tour supports the legalization of sports betting and would move to take advantage of "opportunities" for the Tour if the Supreme Court strikes down the federal ban on state-sponsored sports betting this year. As of right now, only four states are exempt from the federal law that makes state-sponsored sports gambling illegal, including Nevada, which also allows betting on single games. The Supreme Court is due to review a case challenging that law in July. It's not clear yet whether the decision would also allow online sports betting, currently only allowed in Nevada. "The point some people will make is that we are now actively supporting legalized gambling," Monahan said. "Well, yes, we are."